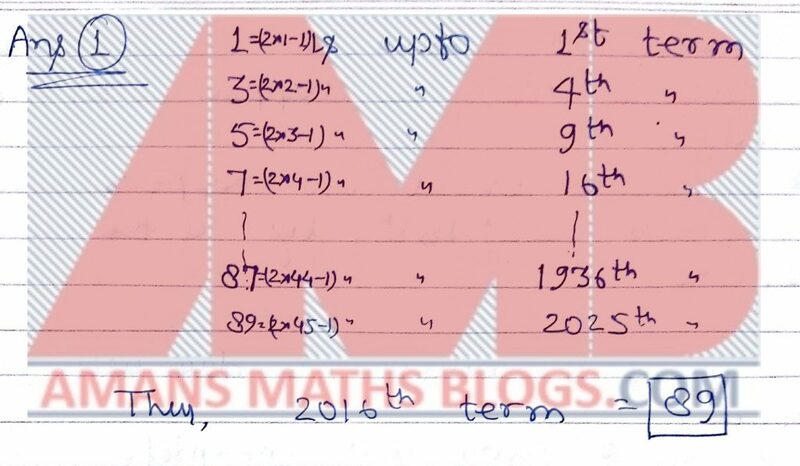 Consider the sequence 1, 3, 3, 3, 5, 5, 5, 5, 5, 7, 7, 7, 7, 7, 7, 7, … and evaluate its 2016th term. The five digit number 2a9b1 is a perfect square. Find the value of ab−1 + ba−1. 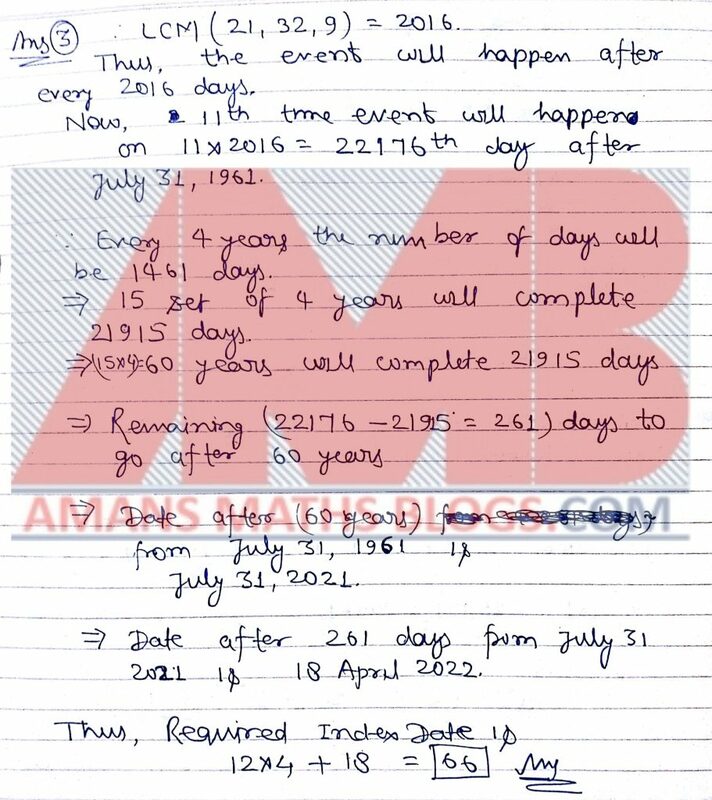 The date index of a date is defined as (12 × month number + day number). Three events each with a frequency of once in 21 days, 32 days and 9 days, respectively, occurred simultaneously for the first time on July 31, 1961 (Ireland joining the European Economic Community). Find the date index of the date when they occur simultaneously for the eleventh time. There are three kinds of fruits in the market. 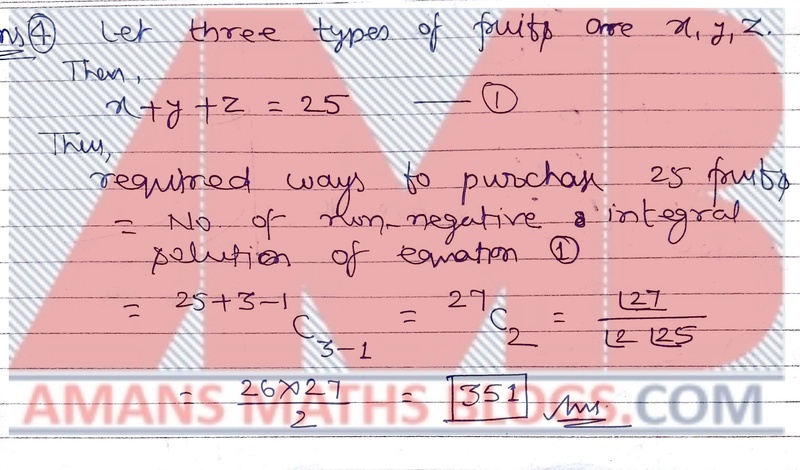 How many ways are there to purchase 25 fruits from among them if each kind has at least 25 of its fruit available? In a school there are 500 students. Two-thirds of the students who do not wear glasses, do not bring lunch. Three-quarters of the students who do not bring lunch do not wear glasses. Altogether, 60 students who wear glasses bring lunch. 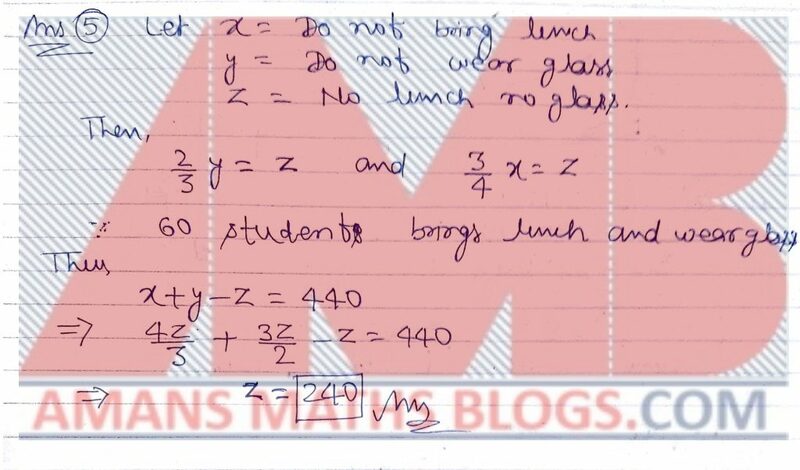 How many students do not wear glasses and do not bring lunch? 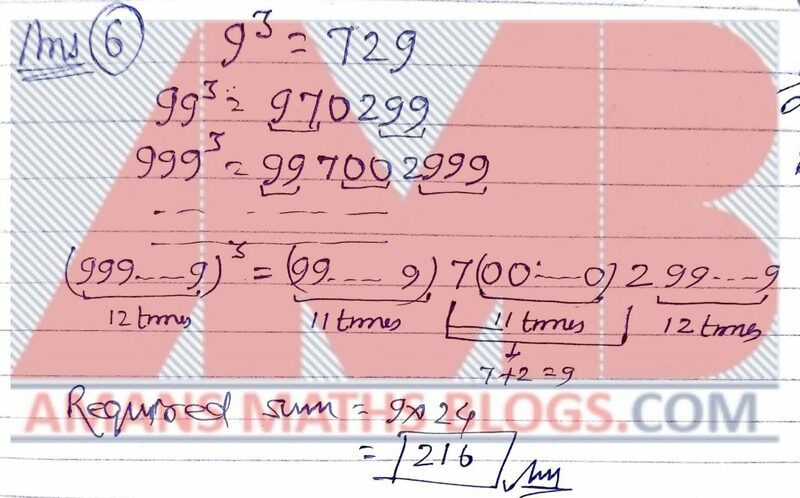 Find the sum of digits in decimal form of the number (999 . . . 9)3 . (There are 12 nines). Let s(n) and p(n) denote the sum of all digits of n and the product of all digits of n (when written in decimal form), respectively. 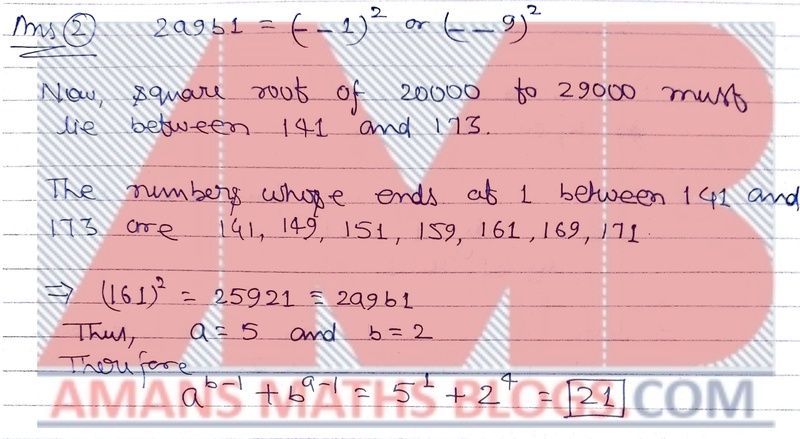 Find the sum of all two-digit natural numbers n such that n = s(n) + p(n). 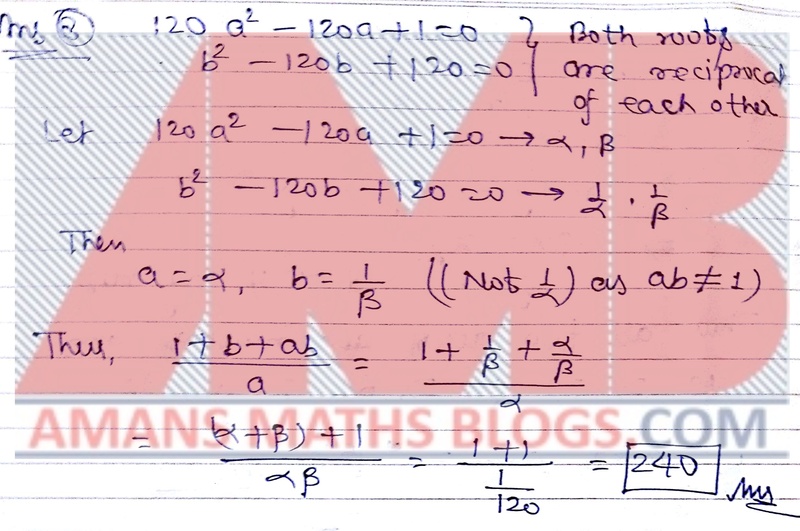 Suppose that a and b are real numbers such that ab ≠ 1 and the equations 120a2 − 120a + 1 = 0 and b2 − 120b + 120 = 0 hold. Find the value of . Between 5pm and 6pm, I looked at my watch. 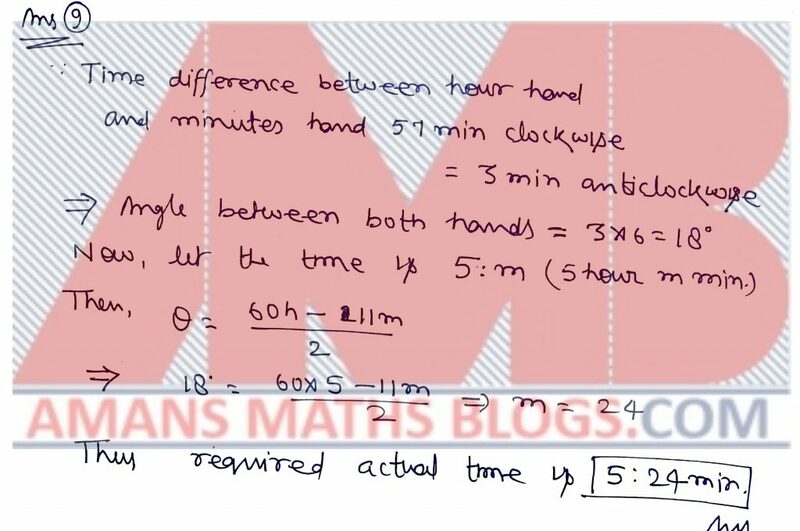 Mistaking the hour hand for the minute hand and the minute hand for the hour hand, I mistook the time to be 57 minutes earlier than the actual time. Find the number of minutes past 5 when I looked at my watch. In triangle ABC right angled at vertex B, a point O is chosen on the side BC such that the circle γ centered at O of radius OB touches the side AC. 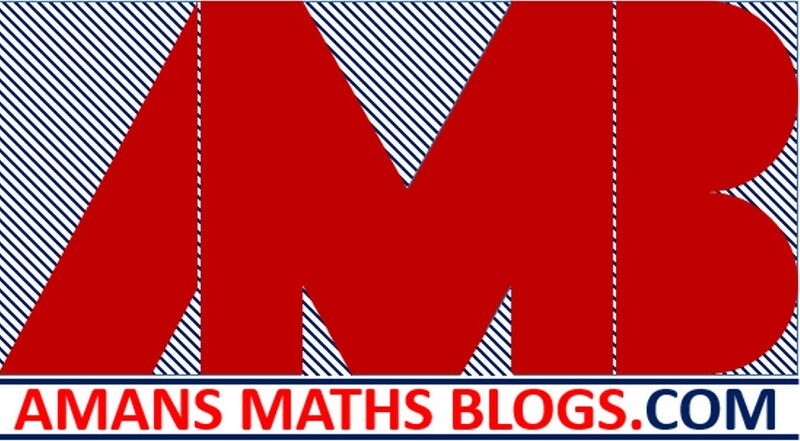 Let AB = 63 and BC = 16, and the radius of γ be of the form m n where m, n are relatively prime positive integers. 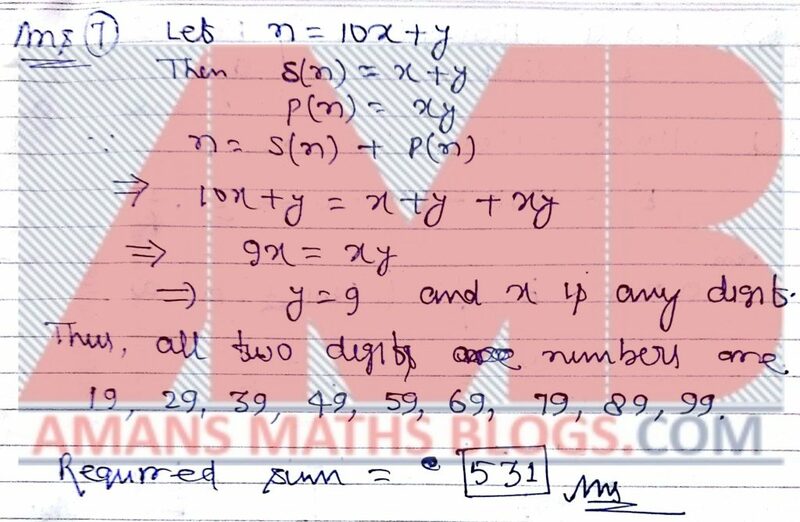 Find the value of m + n.
when written in lowest form. 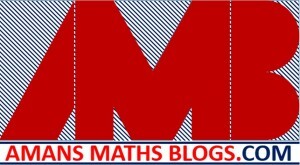 The hexagon OLY MP I has a reflex angle at O and convex at every other vertex. Suppose that LP = 3√ 2 units and the condition ∠O = 10∠L = 2∠Y = 5∠M = 2∠P = 10∠I hold. Find the area (in sq units) of the hexagon. A natural number a has four digits and a 2 ends with the same four digits as that of a. 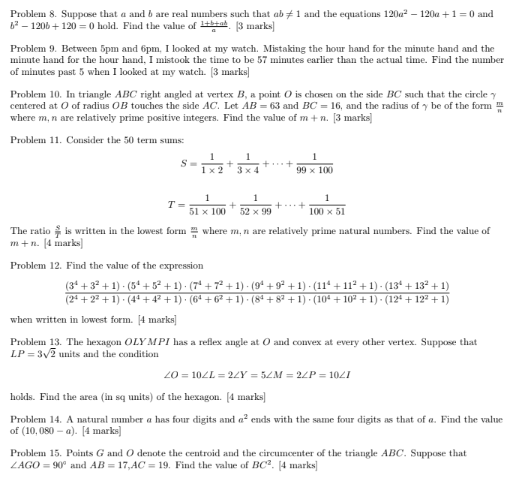 Find the value of (10080 − a). Points G and O denote the centroid and the circumcenter of the triangle ABC. 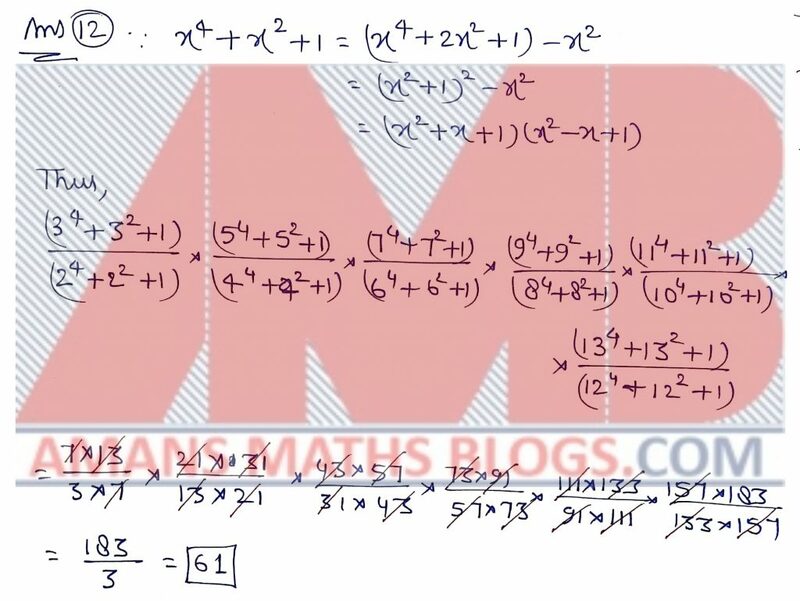 Suppose that ∠AGO = 90◦ and AB = 17, AC = 19. Find the value of BC2.